Ford has a solution to ease one of the most common sources of fear and anxiety in dogs — the loud noise from fireworks. 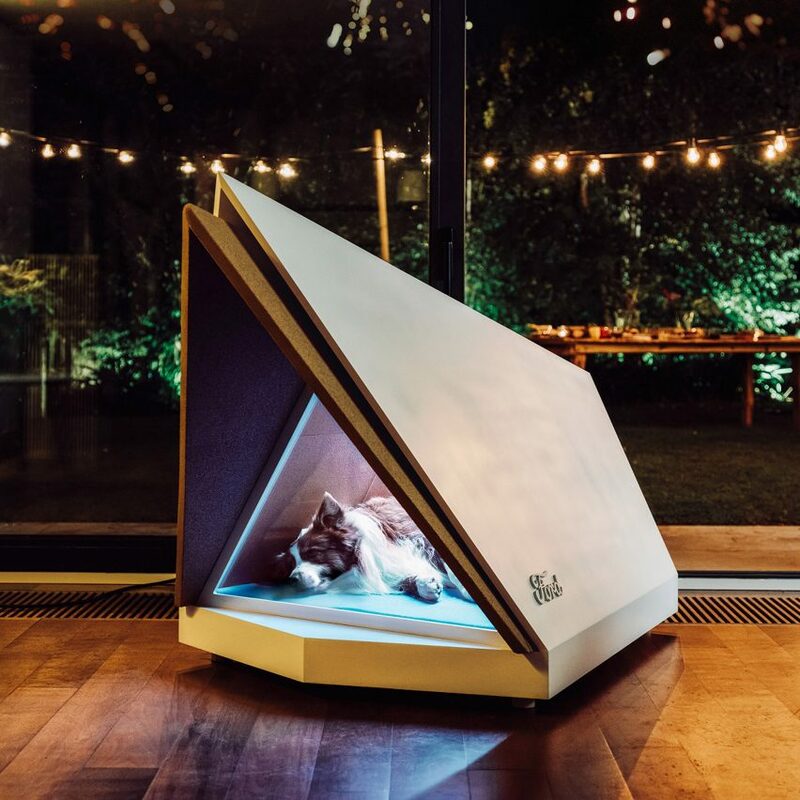 The carmaker has invented the Noise-Cancelling Kennel, which applies the active noise-cancelling technology used in headphones and, more recently, in cars to a dog’s home. This technology is currently used in Ford’s Edge SUV to mask engine noise. When microphones within the car pick up high levels of noise from the engine or transmission, the system sends out an opposing signal via the car’s audio system. The sound waves, in effect, cancel each other out, leaving the passengers in relative silence. Bose has a similar system based on its noise-cancelling headphones that also targets road noise. Ford wanted to explore how its automotive technology could be used to solve problems in other areas of life so it started an initiative it calls Interventions. With the active noise-cancelling technology, its design team chose to focus on dogs. Many pets are averse to fireworks noise, and particularly dogs with their sensitive hearing. The UK RSPCA estimates that 45 percent of dogs show signs of fear when they hear fireworks. “Many animals find fireworks scary – and compared to people, dogs can hear things that are four times further away, and across a much wider range of frequencies,” said Graeme Hall, a UK dog trainer known as The Dogfather. The kennel, which is a prototype at this stage, combines high-density cork cladding for soundproofing with the active noise-cancelling that comes via speakers. Inside it, fireworks noise is reduced to a level that won’t disturb a canine’s keen hearing. Another project in the Interventions series, the Lane-Keeping Bed that keeps couples on their side of the mattress, recently went viral, bringing more attention to the earlier Noise-Cancelling Kennel. Doggie design is an ever popular field among consumers, with IKEA launching a range of furniture just for the animals, tech company Petcube launching Internet-of-Things products that allow you to play with your pet remotely, and inventor Dominic Wilcox even designing a contemporary art exhibition for dogs to enjoy. 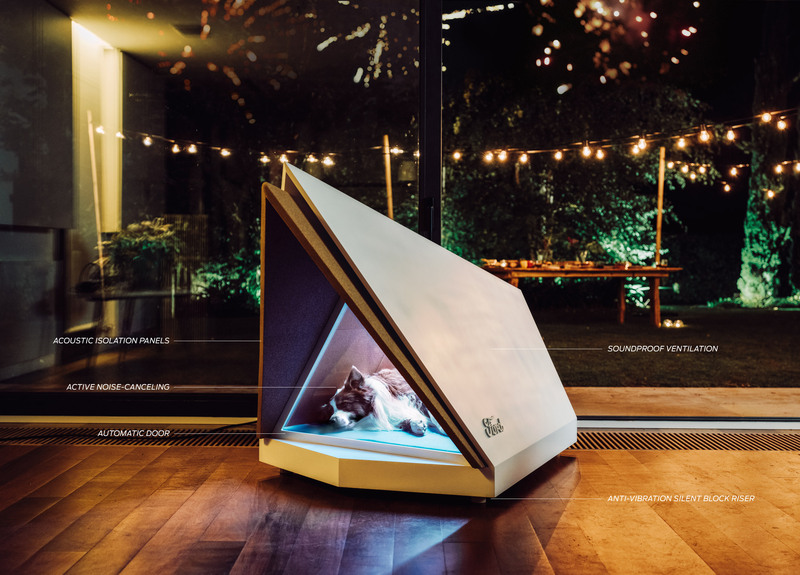 The post Ford’s noise-cancelling kennel shields dogs from fireworks appeared first on Dezeen.